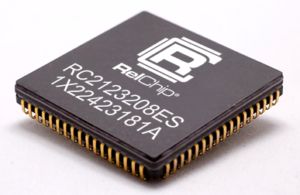 The RelChipTM RC2123208 is a 32Kx8 8051-compatible SRAM (256K bit). 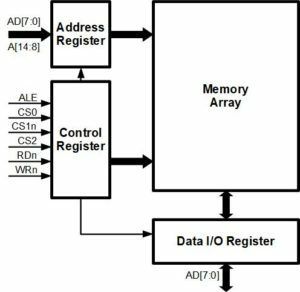 Using the PSEN/RD functions of the 8051 family, a full memory (64K program and 64K data) can be realized in just four RC2123208 ICs. Chip select polarity and 8051 bus compatibility eliminate the need for extra components.